Robert De Niro’s Greenwich Hotel in TriBeCa is an 8-story hotel with 88 guestrooms and a 2,500 square foot penthouse. Due to its location in a historic district, the Landmarks Preservation Commission had reservations with the hotel’s location and visual dominance. Areas of concern ranged from the colors and size of the hotel’s marquee, the hue of the bricks, the size of windows at grade and the penthouse roof design. While the Landmarks Preservation Commission favors classical construction and design materials, the New York City Department of Buildings does not. 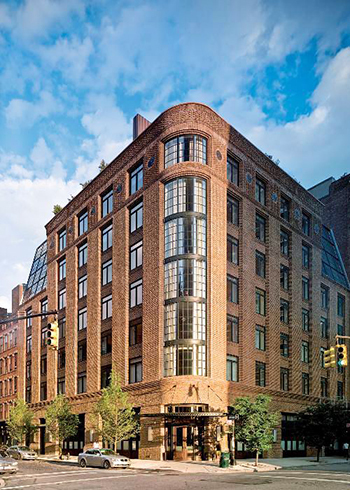 By teaming up with Outsource, The Greenwich Hotel was able to obtain multiple reconsiderations for materials like wooden exterior doors, door jams, and soffits, all of which are generally prohibited under the 1968 Building Code.